When marketers talk about paid advertising, what comes to mind is Google, yahoo and other search engines. Well, that’s quite normal because these search engines are known by everyone and they are used on a daily basis. But in spite of all that, did anyone think of running a PPC campaign without enlisting the help of Google, yahoo and others? That’s something that was unimaginable 5 years ago. Today, there are a few social networking sites such as Facebook, twitter and LinkedIn that offer paid ads. When you want to use social media as a way to promote your products, it’s imperative that you know how to promote your products the right way. Social media is one platform that can help you reach the right demographics. When you use social media, you have an advantage, and that’s when customers review your products and services. And even if someone was not searching for your product, they can easily see feedback left behind by others about your products. Today, the key players in this arena are Facebook, LinkedIn and twitter. So, how do you succeed with them? Perhaps Facebook is the most popular PPC platform used by marketers all around the world. It has over 900 million visitors. Because of this reason, your conversation rates are likely to go higher than normal. To get started, you must first determine your goal. Do you need traffic for your Facebook page or website? Are you selling products to acquire leads or Facebook likes? Such questions are important to ask yourself before launching that PPC campaign. Finding your target is not very difficult because you have many options to choose. You can choose your targeted audience based on their location, demographics in terms of age, gender, relationship etc. You can also evaluate their interests, education and work, as well as connection with friends on Facebook. If you are looking for people who will like your page, you can exclude people who have liked your page already. Just like traditional PPC, images and texts can be used in Facebook marketing. Test your ads with multiple ad copies, and use Facebook free conversion tracking tool which is very important for anyone who is running an ad campaign. Any PPC campaign will require you to invest some money. Whether you use Facebook, LinkedIn or Twitter, you’ll use some money to advertise yourself. Your budget should be based on your products and the type of people you are targeting. You can’t afford to lose money in your early stages of advertising. That means you must go slowly, check where the leads are coming from and then spend more on that specific market. LinkedIn allows you to track your progress on your home screen. This is where you’ll find useful stats and the average CPC for each campaign you create. However, unlike Google’s AdWords, the CTR is smaller—around 0.03%. Users of LinkedIn look for job connections, recommendations and many other things. This is the right time to put your ads in front of them. If you are going to use twitter, you’ll find several things you probably didn’t know. Of course you can target specific Geographic regions and vary your ads in regard to gender. You can add keywords to tweets and promote your posts and trends as well. 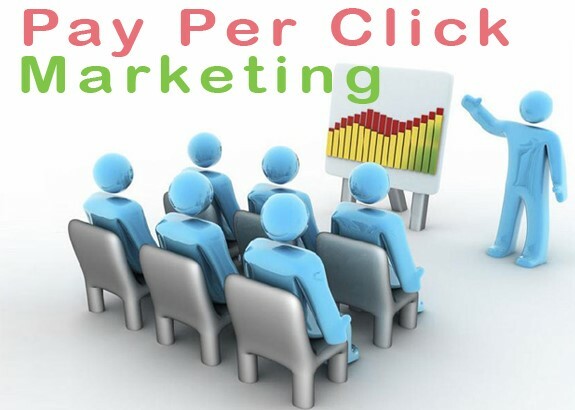 This will be very beneficial in your PPC campaign. Twitter offers 3 different types of promotions namely: Promoted tweets, promoted trends and promoted accounts. Promoted tweets are where marketers have to pay bid price when a twitter user replies or retweets. When promoting your tweets, there are three options to consider. They include your homepage feed, search results and profile. The second one is where a marketer must contact twitter directly in order to purchase a promotion trend. The third option is similar to promoting your Facebook page to improve your brand. If you have a large fan base, there’s a high likelihood that your content will be shared. Even if you never get quality leads, a large audience is great for branding purposes. Follow the 7 golden nuggets for social PPC marketing above and watch your sales begin to rise. Social PPC marketing is very effective when it comes to advertising and that means excluding it from your marketing strategy would be a big mistake. You’ve said it in details… very informative. Great tips. Many thanks. Wooow.. amazing and informative article.